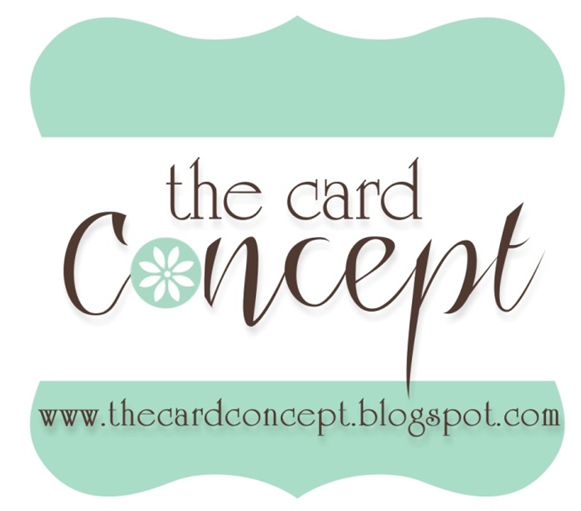 Karen Creates Cards: Merry Monday Christmas Card Challenge #85 - Mostly white or ivory. Merry Monday Christmas Card Challenge #85 - Mostly white or ivory. I know I say every week the cards in the challenge were outstanding, but seriously, between us, the DT wanted to give nearly every card in last weeks challenge an honorable mention. Nice work Merry Mondayers!! 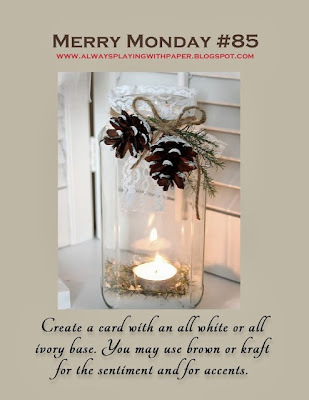 This weeks Merry Monday challenge is to use white or ivory on a card base. You can add Kraft accents. See the complete instructions on the image below and on Lesley's blog Always Playing With Paper, home of the Merry Monday Christmas Card Challenge. I decided that to get differentiation between items I would need to use layers and different whites. The see-through Trellis, raised on Foam squares, gives shadowing in behind. I really like this extra dimension. Dies: Dee's Distinctively WREATH BUILDER Die Holly leaves, Spellbinders Fancy Lattice, Cropadile Corner Rounder. Other: Thickers, Alphabet, buttons, pearls and twine. Bobble edging. I made the card below before the one above. I used organza behind the tree and raised the layer on foam squares. I thought it was a bit tame. Check out the cards from the other DT members. Their amazing creations will inspire you. These are both so pretty! I think i need some Organza now! ;) Looks so elegant! I think both cards are terrific! Love the trellis look and that spindly tree is wonderful! Hi Karen, Both of these cards are so elegant! WOW! I love them both! Have a great week! Wow, both of your card are gorgeous. I love that you used different shades of white to make the elements pop. Both cards are fabulous and I certainly would NOT call the second card TAME by any means. It's beautiful! I am wondering where you got that die! Love both of your cards, they are gorgeous. Both gorgeous cards, Karen. Well done on creating all that dimension just with white! Beautiful! Oh my, they are both stunning! These are amazing! I could just sit here staring at them all night! Oh, I love the first card Karen, especially the trellis and the spray in the corner and the different white card really adds dimension. The second card is beautifully elegant also. Oh my goodness Karen! These are both just stunning! I love the trellis background on the first one and that tree in the second one is so pretty! Absolutely gorgeous work! Two gorgeous cards, Karen! Love all the wonderful elements used on both!